In the mood for operatic comedy? Something silly, absurdly funny and that features a stellar cast? Here's our #TCTheater Bloggers Review Roundup for: The Moving Company's "Liberty Falls, 54321" at The Lab Theater - Mpls. 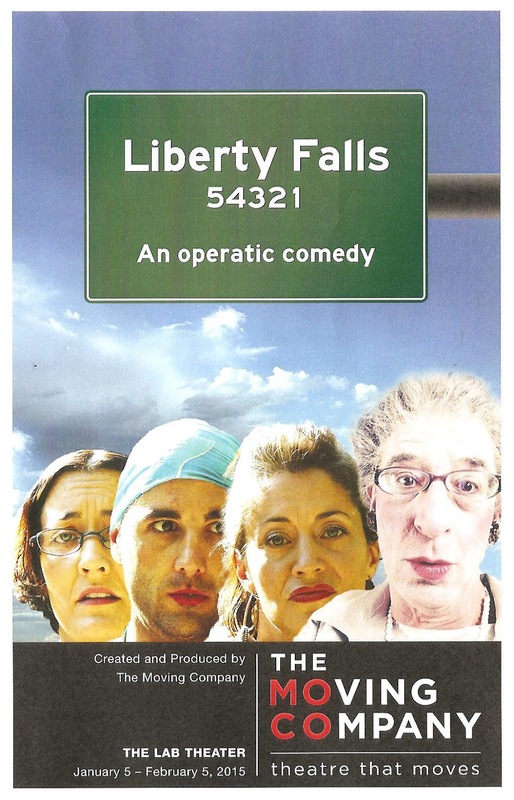 "Liberty Falls" is directed by Dominique Serrand and features Jennifer Baldwin Peden, Christina Baldwin, Nathan Keepers, Heidi Bakke, Steven Epp, Dom Wooten, and Gabriel Murphy. Liberty Falls 54321 continues through February 5.